Job Shadow Day Event | Work Solutions Gippsland - Locally Grown, Locally Owned! Gippsland’s Job Shadow Day event, held annually in September is a Work Solutions Gippsland initiative designed to bring people with disabilities and local employers together for one day to promote equal employment opportunities and highlight the valuable contribution people with disabilities can and do make in the workplace. 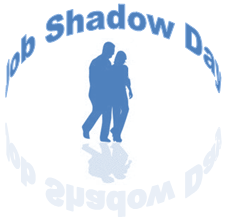 This year the Job Shadow Day event will be on Thursday 13th September. Jobseekers explore the world of work by ‘shadowing’ someone in the workplace as they go about their normal working day. By having a workforce that reflects the diversity of the wider community, your customers and shareholders can lead to greater customer loyalty and satisfaction. Register your interest for Gippsland Job Shadow Day by contacting us on 5173 1600.